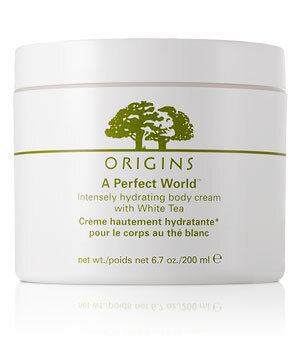 Origins has an entire line of products containing white tea, but their A Perfect World body cream is my favorite. White tea is full of antioxidants that fight free-radicals in order to prevent oxidation, deterioration and dehydration of the skin. 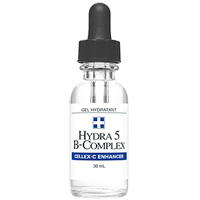 I use Hydra 5 B-Complex by Cellex-C under my cream moisturizer to keep my skin hydrated during the dry, winter months. Hyaluronic acid can hold a thousand times its weight in moisture, making it one of the most powerful natural moisturizing ingredients known to science. Amaze, right? Our skin is made up of collagen; as we get older, collagen bonds breakdown. This leaves skin thin and lacking in support. Peptides are basically broken down links of collagen that can help skin create new collagen. 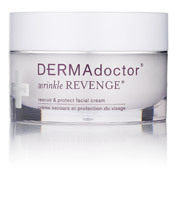 I use DERMAdoctor Wrinkle Revenge Face Cream at night because it is full of amino acid peptides that improve firmness and decrease fine lines. Right now DERMAdoctor is giving one of these away on Twitter to a lucky follower! This is so helpful. I rarely know what skincare ingredients actually do! I also like the white tea ingredient benefits. I'd love to see more posts like this! I'm with Jenn, this is a great idea for a series of posts! Thank you for the feedback ladies! Thanks for the discussion about the ingredients that make the product...definitely they are very important to be noted and using the right night shade can be very useful for the skin too.